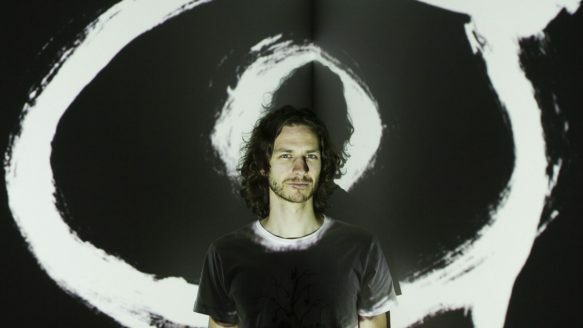 “Somebody That I Used to Know” hitmaker Gotye hits Toronto’s Kool Haus on Saturday. “There are so many unofficial remixes and mash-ups and parodies that it’s crazy,” says Gotye of his biggest hit. If imitation is the sincerest form of flattery, consider Gotye officially bowled over. Not only is “Somebody That I Used to Know” a Top 5 Billboard hit, setting radio playlists afire all over the world, but it’s also become somewhat of a viral phenomenon on YouTube. Aside from the nearly 132 million views that the official video has registered, the song — a post-breakup anthem duet between Belgian-born, Australian-based singer and songwriter Wouter “Wally” De Backer, a.k.a. Gotye, and his New Zealand song muse Kimbra — has also spawned countless imitators: the most successful of which has been Burlington quintet Walk Off the Earth’s five-person, one-guitar cover of the hit. It’s all driving Gotye, who appears with Kimbra at Toronto’s Kool Haus Saturday night, a bit mental. “There are so many unofficial remixes and mash-ups and parodies that it’s crazy — I haven’t kept track of it,” laughs Gotye, 31, Thursday from a Boston tour stop. However, Gotye does admit that the Walk Off the Earth version — which helped earned its coverers a worldwide deal with Sony Music — has helped fan the flames. Although Gotye is finally enjoying his first taste of North American success, he’s been a fixture in Australia for years, both as an independent artist and as a one-half of The Basics, which has released four albums so far. His latest album, Making Mirrors, entered the Australian charts last summer at No. 1, at the same time “Somebody That I Used to Know” was topping the charts. The song eventually earned him six Australia Recording Industry Association Awards, but despite his earlier success with Like Drawing Blood, Gotye couldn’t get any Canadian or American indie labels to distribute the record. “I was disappointed — I couldn’t find a release for Canada and the States. I went looking for an indie label and someone to just help me get it out physically with a little bit of promotion over here, but that didn’t happen. “Two years after it happened in Australia, I put it out in Europe and Japan and started a little bit of a story over there. To tell the truth, I kind of thought it might be the same thing with this album . . . There weren’t really great options on hand, and I was quite prepared to put the album out myself, and invest a whole heap of money I’d saved over the last couple of years just working with a distributor and doing all the marketing myself. Be the first to comment on "Gotye goes global"